Virgorous exercise provides a good time to use a horse heart monitor. Heart rate is the most reliable indicator of your horse's condition when used before, during, and after exercise. Since the cardiovascular system is responsible for delivering blood to the muscles and removing by-products of metabolism, it is central to the horse's musculoskeletel system's ability to function. In other words: The heart is the engine that makes the horse run! The resting, mature horse has a heart rate between 30 to 40 beats per minute. Maximum heart rates in mature horses appear to be between 220 and 260 beats per minute. The aerobic threshold for a horse is less than 165 beats per minute. To effectively condition a horse for aerobic fitness, the heart rate should be raised and sustained between 100 beats per minute and 165 beats per minute. The anaerobic threshold for a horse that is building up its tolerance to the stress of exercise is approximately 165 to 185 beats per minute. A horse in good anaerobic condition will have a recovery heart rate (reduction in heart rate) of around 100 beats per minute approximately two minutes after aerobic exercise conditioning. The heart rate 10 minutes after exercise should be less than 60 beats per minute. A horse that is sprinting will have a heart rate of over 190 beats per minute. The heart rate should slow to 120 beats per minute between sprints. If the heart rate does not slow to 130 to 140 beats per minute after two minutes, the horse should be allowed to warm down and should be monitored for signs of continued fatigue. Research shows that electronic monitoring systems are the most reliable method of determining heart rate during and after exercise. Once prohibitively expensive, reliable heart monitors with a number of functions can now be purchased for well under $500. They range from hand-held basic devices to monitors that incorporate GPS systems for establishing elevation profiles and more sophisticated performance indicators. The stored information is then downloaded onto your computer for complete analysis, with a high resolution profile of the training session. Once you have decided that you want to use a heart monitor, the first step is to determine the benchmarks for each of your horses. Establishing these benchmarks will enable you to measure and analyze your horse's activities as fitness increases with training. Determine your horse's normal, resting heart rate. This is the resting benchmark. (Getting an accurate reading the first few times may be difficult if the horse is nervous because of a new situation, so you may need several attempts as the horse adjusts to the monitor). Exercise or push the horse to a heart rate just under 150 beats per minute. This is the aerobic threshold benchmark. Note the recovery heart rate two minutes after exercise and again at 10 minutes after exercise. At two minutes, it should have dropped to around 100 beats per minute and at 10 minutes should be less than 60 beats per minute. Next, do a sprint-type exercise of shorter duration, but at faster speeds, to get 170 to 190 beats per minute. This is the breezing, or anaerobic, benchmark. Reduce speed if the heart rate goes above 190. Recovery heart rate should be below 120 at two minutes after exercise and below 70 at 10 minutes after exercise if the horse is adequately conditioned to this level and intensity of activity. Warming up and warming down exercises are mandatory at this level of training to assist in reducing soreness and injury. The sharpening phase used by trainers makes use of interval training techniques with serial sprints, interspersed with relief periods to increase the horse's physiological response to exercise. During these interval sprints, the horse's heart rate can be expected to go well above 170 to 190 beats per minute. Heart monitors are especially important at this level of conditioning. 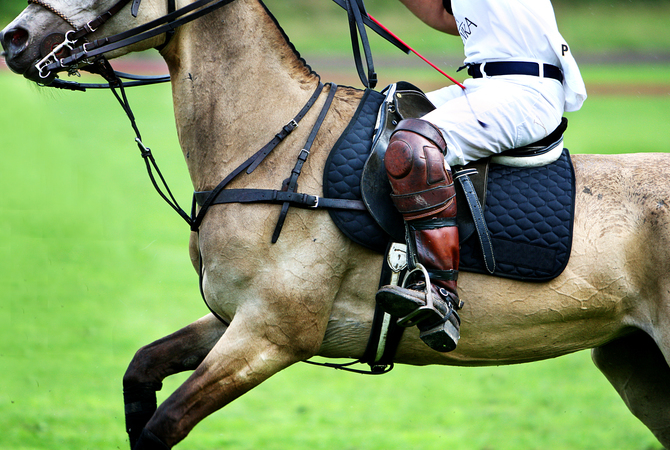 Between sprints, the horse's heart rate should drop below 120 beats per minute. The exercise should be discontinued if the heart rate does not come down to 130 to 140 beats per minute within two minutes. If this occurs, the horse should be warmed down and monitored for signs of continuing fatigue. As the horse becomes more fit, you will be able to increase the number of sprints and the distance. By graphing the heart rate response to an exercise done at a constant speed over a period of time, it is possible to know if an injury occurs. When the horse is injured, ill, or fatigued, the heart rate will be higher than expected, based on prior monitoring results. As a horse becomes more fit, the heart rate at a constant speed decreases. If the heart rate suddenly increases sharply, it is probable that an injury has occurred. Resting heart rates in excess of 60 bpm, especially with an elevated temperature or lack of appetite, may indicate a colic and require immediate veterinarian attention. When using a heart rate monitor as a fitness indicator, consistent record keeping is a must. Over time, decisions to alter intensity, duration, or type of exercise to further the fitness level of the horse can be based on changes in heart rate. It allows comparisons of several horses, as well as showing an individual horse's progress during successive workouts. Most heart rate monitors have instructions regarding record keeping for evaluation. Depending on the one you choose, you may be able to transmit data to your computer or you may need to keep notes. Currently, researchers and trainers are analyzing how to best use heart rate monitors to assess the potential of horses selected for performance. Certainly, the heart rate monitor is a valuable tool for analyzing heart rate, speed and distance, and tailoring your horse's training program to optimize conditioning. In addition, use of a heart rate monitor serves as a reliable indicator of injury or illness. Keeping records is essential for any conditioning program you implement. Below are links to printable files that you can download and print to help you keep records.